Is the T-Bar Row Right for You? 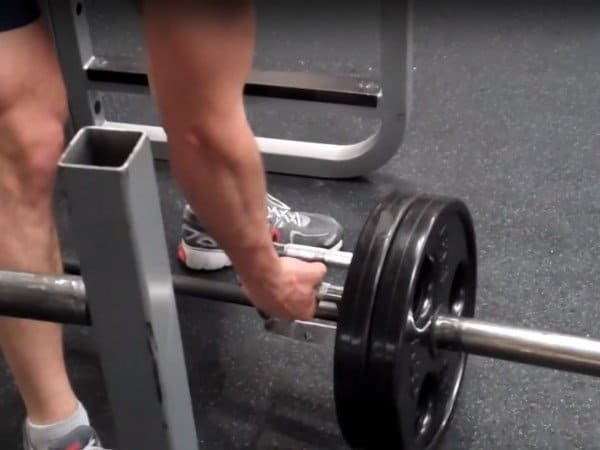 If you're using just a regular barbell as your main piece of equipment, you'll need to keep one end of it fixed in place by putting in the corner of a wall or preferably in a landmine attachment. Then you'll load the other end with the desired amount of weight. If you're using a t-bar row machine, then you just need to load one end with the desired amount of weight. Whichever equipment setup you're using, you'll now need to get into position by taking a shoulder width or wider foot position while straddling the barbell. If you're just using a regular barbell and don't have a specialized landmine handle attachment installed on it, then grab a v-bar handle attachment. Holding the v-bar handle, hinge the hips until you can reach the bar. Put the v-bar attachment underneath barbell, grasping both handles and holding it firmly against the barbell. 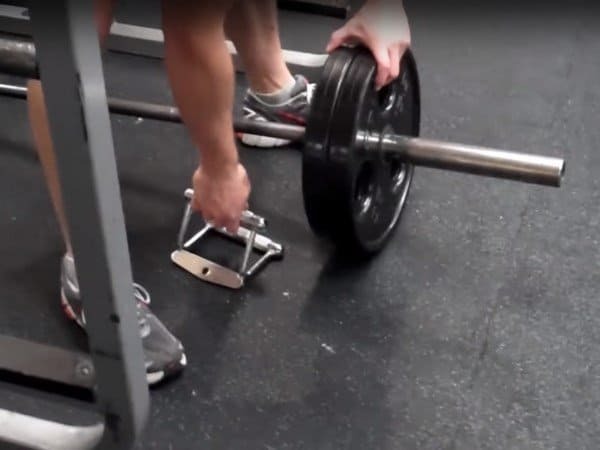 If you are using a t-bar row machine or a barbell with a specialized landmine handle attachment installed on it, then you'll simply hinge at the hips until you can firmly grasp onto the handles. Be sure to actively brace the core by engaging the diaphragm and lower abs, and slightly tilting the pelvis anteriorly until your pelvis/hips are neutral. While keeping a neutral thoracic spine, depress the shoulder blades down towards the lats. You should retract your head to achieve a "packed neck." That is, your neck should be at the same angle as your spine/torso with your eyes directed down and a few feet in front of you. Holding the handle firmly, get tight throughout your glutes and hamstrings while keeping your torso and neck in the proper neutral position. Now, raise your torso slightly while keeping your arms straight, so as to lift the bar just a few inches off the floor. This allows you to have enough clearance to move the weight through a full range of motion without hitting into the floor. Depending on preference, your torso can be anywhere from 15-45 degrees above parallel--but not any higher. Pull the v-bar handle against the bottom of the bar and toward the barbell sleeve & weights. Holding the handle firmly, and maintaining tightness and position, you'll raise your torso slightly to raise the bar a few inches off the floor. Try to keep this approximate torso angle throughout the lift; certainly don't go any lower (until you're finished and putting the weight down). Using concentrated effort to keep the above-described positioning in tact, aggressively retract the shoulder blades to initiate the pulling movement. Tuck the elbows hard into your sides and bring the bar up until the plates graze your chest. As you pull the weight, focus on contracting the middle back muscles by sliding your shoulder blades along your rib cage, bringing them all the way together at the end of the range of motion. Once the plates make contact with the chest, continue to keep the torso deliberately rigid and the core completely braced. There's no need to pause at the top as long as you're using your back mid-back muscles to get the weight to the top. If you have issues with "cheating", then trying to hold the weight at the top for 1 second may help reinforce proper back muscle activation. At the top of the rep, your hands/the handle should be somewhere between your belly button and you bottom of your chest. However, the plates themselves will make contact on your actual chest. NOTE: Using 25 lb or 35 lb plates will help you get more range of motion than the larger 45 lb plates. With zero tension lost in the torso and core, return the bar back to the floor/starting position with constant speed and control. Imagine guiding the bar with great control back to the start. Don’t just drop the bar back down. Bring the bar back to the exact point you started in. Keep it under control. Let your shoulder blades come forward somewhat to feel a stretch in the lats and mid-back. Just don't allow so much stretch at the bottom that you're letting the weight hang on the shoulder joint. Instead of using 45lb plates, stack 35s or 25s. The smaller diameter of the plates will allow for greater elbow and shoulder ROM. Make sure you’re in a starting position that allows you to naturally tuck your elbows to your sides. If you feel like your arms are doing most of the work, try to move your feet closer the the weights and hinge your torso so your head is more in front of the end of the bar. Be particularly conscious of your shoulder blade position. They should be actively retracted and depressed in order to not allow too much forward movement of the shoulder during the eccentric phase. During any heavy compound row, slight movement of torso from the hip joint is ok as long as no postural rigidity is being lost and the lumbar spine isn’t going into flexion. If more than a mild amount of “heaving” and positional change is happening, the weight needs to be lowered. 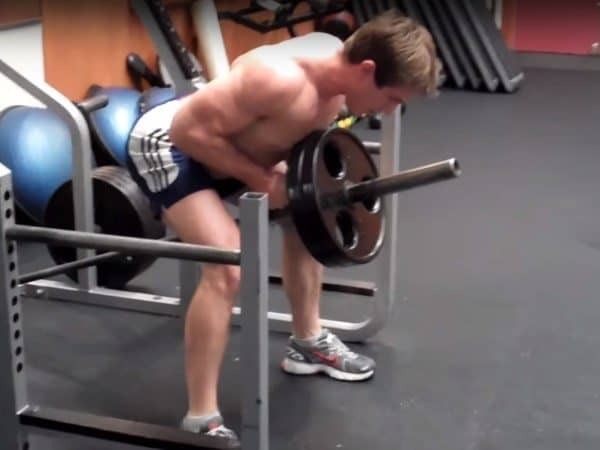 Just like any other exercise from the hinged hip position, constant effort should be made to keep the back from rounding over and the shoulders pulled back deep into the socket. The path your elbows take is key to maximally activating the lats. Try to tuck your elbows down into your sides while keeping your hands and wrist perpendicular to your upper arm. Hinge at the hips as far as you need to feel your lats the most. Due to different leverages and body shapes, this angle will vary between people. If you feel like you’re using your arms too much, lean a little more forward. If you feel tension primarily in your lower back, bring your shoulders up a little more. Try not to think about “pulling the weight.” Think more of guiding the elbows up. Just remember to keep a rigid posture and the shoulder blades actively together and down. The t-bar row is great for every level of training enthusiast. The fixed end of the barbell gives the lifter a very unique leverage point to work the lats. 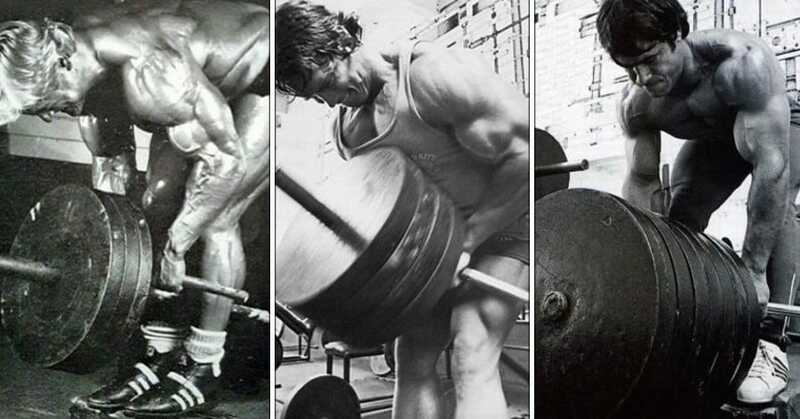 Obviously, the biggest limiting factor here would be whether or not you have access to some kind of fixed barbell platform like the landmine or enough space in a corner of the weight room to perform the lift safely and effectively.